Check out Dan Murphy’s best deals and advertised offers in their online catalogue and weekly ads. 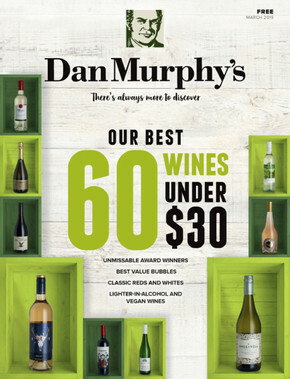 Dan Murphy’s has an unbeatable range of red wine, white wine, champagne, whisky, spirits, beer, cider, mixers, energy drinks, bar accessories and more at unbeatable prices. Find the best gift ideas from Dan Murphy’s extensive range, including gift packs, wines, and sparkling products for that special someone. No matter whom you’re buying for or what the occasion, with 10,000+ products online to choose from, Dan Murphy’s has something for everyone. Services on offer include free gift wrapping (get your gift wrapped with a personalised gift card), fast delivery (standard, same day, and next day delivery available), and expert advice on great gift ideas (available online, instore, and over the phone). Know your beer, wine, and spirits! Dan Murphy’s Liquor Library has it all. 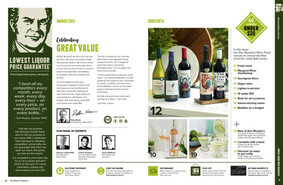 From food and wine matching suggestions to cocktail recipes, you’ll have all the information you need at your fingertips. Read up on how to infuse spirits, how to brew your own beer from home, or how to make your favourite cocktail! Get up-to-date information about Dan Murphy’s opening hours, flyers, and deals at the Shopfully website and app.